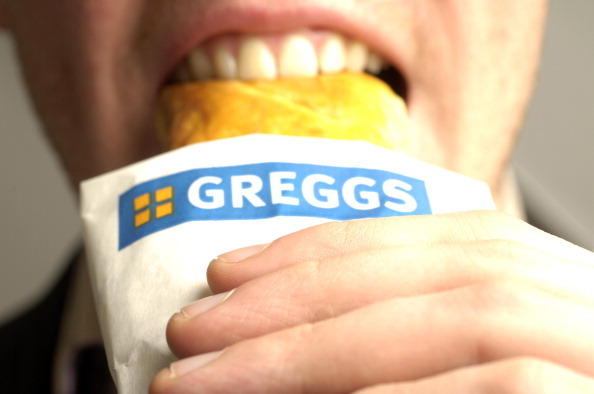 Most people would see a cheeky Greggs sausage roll as a cheat in a diet plan, but one guy has shown how Greggs can be the diet plan. The revolutionary new ‘sausage roll diet’ saw David Hulston from Milton Keynes, lose two stone after eating nothing but Greggs’ products. For six weeks the 46-year-old ate nothing but food from the popular high street bakery, and dropped two suit sizes in the process. The Channel 4 programme How to Lose Weight Well featured the choreographer from London who wanted to lose weight before his friend’s wedding. Along with five other recruits, he took on the challenge set by presenters Alexander ‘Dr Xand’ van Tulleken, and GP Helen Lawal, to stick to different diets in a bid to shift the weight. David had to limit his calorie intake to no more than 1,800 a day for six weeks by having food from the shop’s Minimise Me menu. The diet tended to consist of an egg roll or porridge for breakfast, a sausage roll for lunch, and coconut, lime and chilli chicken salad for dinner, along with snacks such as a banana, or fruit medley pot between meals. No alcohol was allowed. and the diet saw David’s weight drop from 17 stone to 15 stone, as well as his waistline shrinking. I’m over the moon. I did feel hungry but I’m glad I stuck to it. I’m fast approaching 50 and want to feel fit by the time I do. But when I started I was the heaviest I’ve ever been – and I love Greggs pasties. If you think you have the willpower, then go for it. Ben will no doubt be chuffed to hear about this new revelation, if not, someone needs to let him know! Surely this is the best news for the looming 2019 diets which will start soon across the world. A sausage roll a day keeps unhappiness away…Apparently!